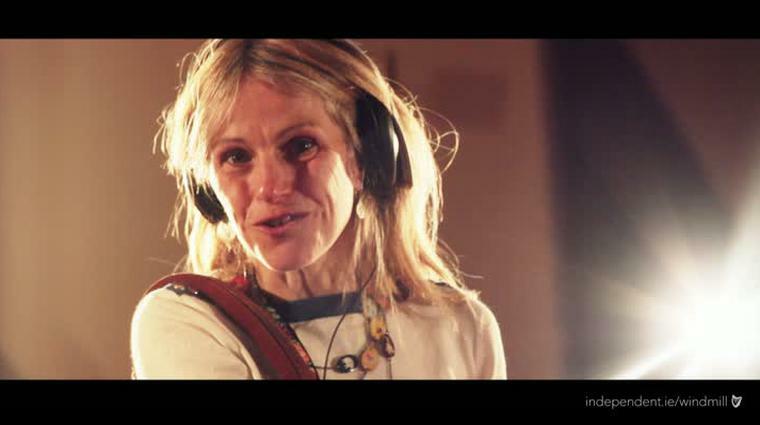 Sharon Shannon unburdens herself to Barry Egan about the death of her mother last year and the death of her long-term partner, and how she felt “physically sick, weak, helpless and useless.” Then she found love again. Bereavement is the deepest initiation into the mysteries of human life, someone wise once said, an initiation more searching and ­profound than even happy love. 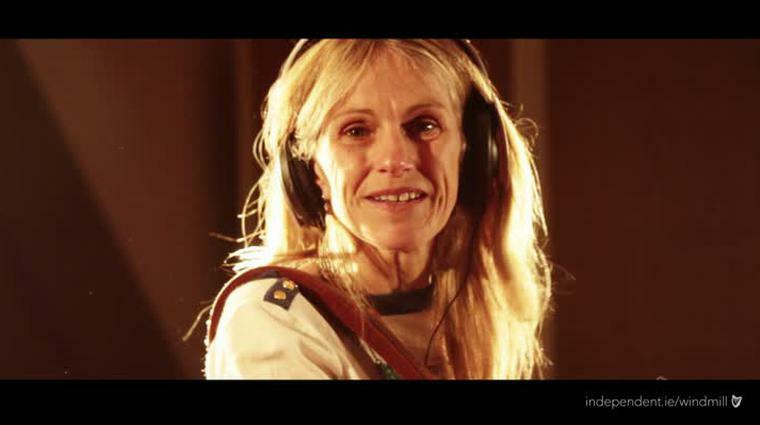 For Sharon Shannon the only thing truly ­profound initially was the physical and emotional pain. It is more than seven years now since her long-term partner, Leo Healy, was taken from her — May 7, 2008 — from a heart attack at the age of 46. (Sharon personally believes that the ­medication Leo was taking for Crohn’s disease, which he suffered ­chronically from, weakened his heart.) She still thinks about Leo every single day of her life. She says she smiles thinking of all the good times they shared. “I miss him and his lovely smile and ­gorgeous brown eyes and his kind and caring and fun-loving ­personality. He was a great human being who loved life and I feel lucky to have been part of his life,” she says herself with a smile. I ask Sharon did she lose her mind. Reminiscing on that May day when she heard the devastating news that Leo had died, Sharon believes her subconscious mind immediately went into lock-down protection mode. “It was almost like I was watching a movie or that we were all part of a sketch or something and this wasn’t happening in real life. I couldn’t imagine in a million years that Leo was dead. What also helped the painful process of grieving for Sharon was reading books about the subject, night after night. “I read a lot of grief counselling-type books. I found them very helpful. Most of them are based on the belief that the spirit lives on after physical death. So even if you don’t believe it, it’s still very comforting to even think about it and live in hope — and read all the beautiful uplifting stories. They teach you to be constantly on the look out for synchronicity and that these little coincidences are all signs from the spirit. Looking back, Sharon, now a youthful-­looking 46, can remember the excitement of learning to walk and trying to make it towards the outstretched arms of her parents and older siblings when she was one-and-a-half. ­“People won’t believe that I remember that but I ­actually do have a memory of that moment. I also remember hiding under the dinner table because of shyness when visitors would come to the house,” she says referring to her ­childhood in Bealacanna, Ruan, Co. Clare. Late Late this Friday to launch her new album, with Alan Connor, In Galway — she played for Presidents Clinton and Obama in The White House, she received a lifetime achievement ­Meteor award in 2009, and she was honoured for ‘outstanding contributions in music’ at the Irish Books, Arts and Music (IBAM) awards in Chicago this year. ­music ever released, or a live version of ­Galway Girl ­recorded with Mundy back in the late-­Noughties being the most downloaded track in Ireland, or being part of the original Woman’s Heart album in the summer of 1992. Or perhaps most proudly of all, being honoured with her name in stone at the parish hall in her home village of Corofin this year. “I am most proud of that because it was a lovely thing to do in my home county of Clare.” Of the latter, she laughs that one of the biggest mistakes about her is that she is a Galway girl because of the hit song of that name with Mundy. “I’m a Banner girl. I live in Salthill in Galway but I’m not from Galway. I’m a blow-in!” she laughs. What does she sing in the shower? “I diddle tunes,” she laughs. “I’m the worst singer you ever heard.” Hearing Sharon record her own unique take on Fleetwood Mac’s Never Going Back Again for the Windmill Lane Sessions on Independent.ie, it is not difficult to form the impression that the girl from the Banner County is one of the finest musicians you’ll perhaps ever hear. There’s magic in them their fingers. Sharon asked her mother if she would be ­happy to compromise and allow her to join ­Majella in doing the secretarial course, “and then after that my duty would be done and I’d be off the hook forever”. “Thankfully, she agreed,” Sharon relates with a laugh indicating the relief. “So Majella and I spent six months in Limerick. The course was easy enough. I loved Limerick. I met loads of great musicians there and I played regular weekly sessions, and it wasn’t too far for me to travel regularly to Doolin from there where my heart was firmly set. I had plenty of pub gigs to keep me going during this time. Sharon played onstage for the first time when she was nine at céilís in Toonagh parish hall, four or five miles away from the family home in Bealacanna, on Friday nights, with ­local school teacher Frank Custy. “Frank showed the kids how to enjoy music and the céilís were something that the kids and the people in the area looked forward to. It was a great social gathering,” she smiles, mentioning big pots of tea, sandwiches, buns, scones and apple tarts in the kitchen of the parish hall. She has a sense of humour possibly all her own. During the recording of the Windmill Lane Sessions, she joked that one of the new songs was called Betty Swallocks. 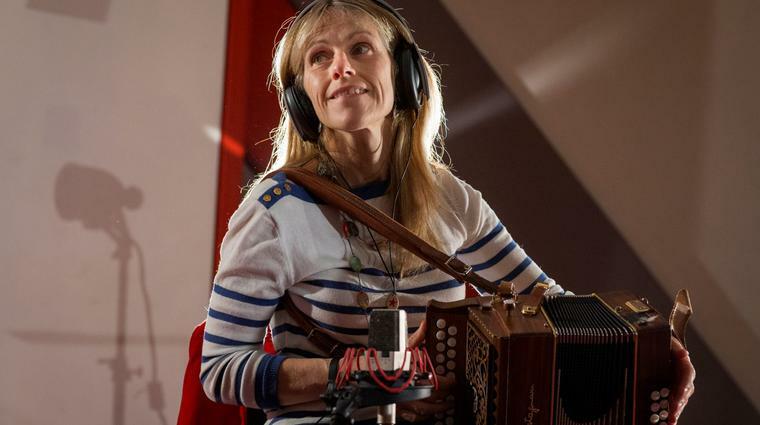 Sharon then recalled that when she supported Willie ­Nelson on a European tour in 2007 — as the ­Sharon ­Shannon Big Band with Eddi Reader and Damien Dempsey — she jokingly referred to her band as The Willie Warmers. Born in Bealacanna, Ruan, on June 8, 1968, the future leader of The Willie ­Warmers, ­Sharon Teresa Shannon, comes from a ­family of four siblings. “Gary is the oldest. He plays the flute. Majella is the second eldest. She plays the fiddle. I’m next. Mary is the ­youngest. She plays the banjo. My parents never played ­music ­themselves, but they were great ­dancers,” ­Sharon says, sounding like a verse from ­Johnny Cash’s Daddy Sang Bass, adding that her ­grandmother on her mother’s side, ­Catherine Garry, used to play the fiddle and the concertina. She always felt huge empathy towards them and hated that they had to be sold. “While many people are concerned with animal suffering, be it through vivisection, puppy mills, or entertainment, very few people realise that 95 to 98pc of the world’s horrific animal cruelty is due to the meat, dairy and egg industries. I try my best to help out as much as I can with various animal rescue and ­animal rights organisations. “The way I look at it, there’s no point in moping about and doing nothing about it, because if us animal lovers won’t do anything to help, who will?” says Shannon, who lives with a large ­collection of cats and dogs in her home in Salthill: Begley, Gaffo, Benji, Lilly, Gnasher (named after ­Dennis the Menace’s dog), Rosie, Fonzie, Dinny, Stumpy, Philo (after Phil Lynott); to name but a few of her four-legged friends in residence in the west. The carnivore Jimmy she is referring is her boyfriend of six years. “He’s an absolutely fantastic partner,” she says of Jimmy, who works in a bar and keeps the customers entertained with his humour and optimism. “He’s also my best friend. He has a brilliant sense of humour and he makes me laugh every day. People who enjoy a bit of craic always gravitate towards him. “If I’m ever looking for him, all I have to do is listen out for where all the laughing is coming from. He’s the kind of person that puts his energy into solutions, not problems, and always likes to look on the bright side. He is extremely patient with me and my scatty ways and he’s always 100pc reliable. He adores his family and is very devoted to them and is very protective of them. Jimmy loves music, his motorbike, and his car.